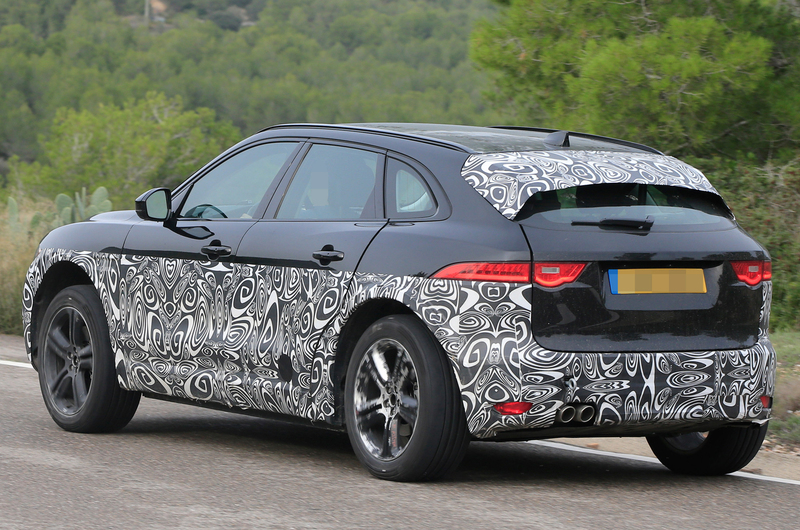 Test car looks like a shortened F-Pace but is evaluating electric components for Jaguar's production version of the I-Pace. A Jaguar I-Pace development mule has been caught testing just days after the concept's official reveal at the LA motor show. 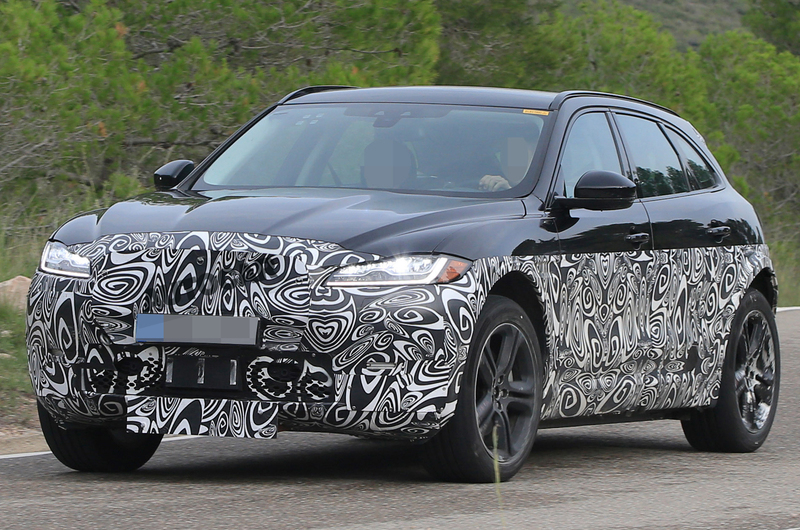 These new pictures still show what appears to be a shortened F-Pace exterior, identical to one that was spotted at the end of July, running an electric drivetrain. Our spy photographer said the car had no engine noise as it drove past, supporting the suspicion that this is an I-Pace prototype. Further support for the theory came with an earlier mule, which Autocar discovered was listed on insurance database records as a 'Jaguar X590'. This is the codename given to the car maker's all-electric platform. The I-Pace has two electric motors, producing the equivalent of 197bhp, meaning the I-Pace Concept has 395bhp and 516lb ft on tap. Jaguar’s claimed 0-60mph time for the car is 4.0sec. An NEDC range of around 310 miles has been claimed for the car's 90kWh battery pack, and a 50kW direct current (DC) charging point can replenish the battery to 80% in 90 minutes and to 100% in just over two hours. We expect the I-Pace to be priced at around £60,000 when it goes on sale; a £25,000 premium over the entry-level, 2.0-litre engined F-Pace. Jaguar Land Rover's parent firm Tata has previously pioneered the technology and insiders say the company has made significant progress in overcoming the problem of the additional unsprung weight of in-wheel motors. If predictions for this electric model are correct, Jaguar could offer three SUVs before the end of the decade – the F-Pace, the I-Pace and the electric SUV – with a fourth, the J-Pace, likely to join them in 2020. No one wants to get left behind in the race for EVs in their portfolio. It was like that with diesels once, then of course the small petrol turbo, and now the EV. Who knows, Hydrogen could be the next big thing! Maybe, just maybe, hydrogen will find its place for the long haul, whilst pure EV will be for everyday/short-haul? Anyone remember the "Sony Minidisc"? The physical media which held digital files? They we're killed because of solid state storage, higher bandwidth internet connections and forward thinking entrepreneurs (Napster el al). Hydrogen cars are the Sony Minidisc of the automotive market. Solid state storage is improving battery technology. Higher bandwidth is charging technologies and station networks. The entrepreneur is Elon Musk. Hydrogen - too little too late - EV technology developed too fast for it. Just like solid state storage killed the Sony Minidisc. Someday, something may replace the internal combustion engine. Maybe hydrogen, maybe not. But whatever it is, it won't be electricity. The best it will ever achieve is as a hybrid system to run off energy recovered from the petrol engine while in congestion. Electric cars are going nowhere. Of course neither hydrogen or electricity will replace the ICE - that will be done by the electrical motor! And that runs on what? Candles? Soup? Memories of long, hot summers? Try charging your batteries without it. Someday, something may replace the internal combustion engine. Maybe hydrogen, maybe not. .... Electric cars are going nowhere. EV's going nowhere, except for the ones I see everyday on my commute. As to Hydrogen, that really is going no where! Electric cars with batteries are going nowhere, I agree with that: but if they lay electric cables under the tarmac and the cars harvest the electricity through induction as they pass…..
Here’s the proof that Jaguar has taken development of its baby SUV to the next stage – by running a shortened version of its F-Pace as a test mule on UK roads". Sounds like you're all flying by the seat of your pants and the weather is rather foggy. Love it! Well done that man (or Woman, or BTIQ)!